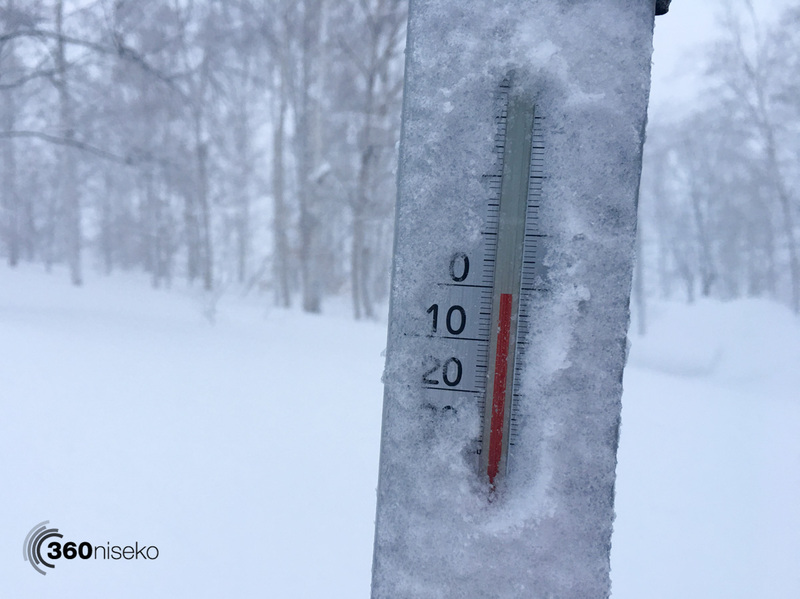 *9cm has fallen in the last 24 hours in Niseko. At 07:00 today the temperature was -1°C. 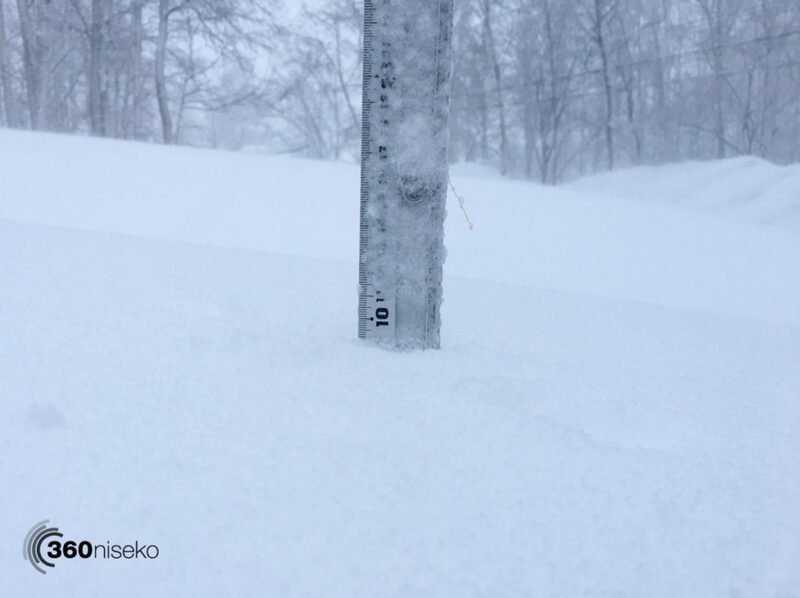 This morning Niseko is in the grip of one of the worst storms of the season. Gale force winds have blasted everything with a thick layer of ice. Yesterdays wet snow and rain has been turned to a thick layer of ice and visibility is very limited. There are huge snow drifts of thick heavy snow outside our front door. The peak of the storm is forecast for around midday. On the mountain today is almost certainly a write off. The lower lifts may open for those brave enough to ski or snowboard in this awful weather. Another down day today. Hopefully tomorrow (possibly late afternoon today ) the winds calm down and we are able to get up on the mountain is search of wind blown powder stashes. * The whole of Hokkaido is in chaos with most public transport services closed including train services / airport services / bus services / toll highways / mountain passes. If you can suggest staying off the roads until the storm mellows out as driving conditions will be very dangerous. With the warmer weather roofs are shedding massive amounts of snow so look up when you make your way around town and be careful where you park as yesterday quite a few cars were crushed by falling ice. This morning we had to scratch off about 1cm of solid ice just to be able to read the measurements on our ruler and thermometer – nasty! !